As single-family home prices have risen consistently over the past decade, apartment living in Orange County continues to thrive. According to Yardi Matrix, the market comprises upwards of 200,000 units spread across more than 1,000 assets, the bulk of which are either workforce or mid-range. Developers delivered nearly 5,000 units last year, with a similar number under construction, most of which are slated to come online later this year. Given the number of properties renters can choose from, differentiation has become a critical success factor in the market. 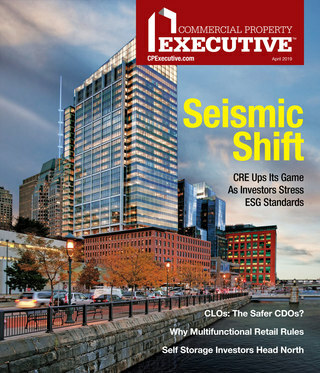 Multi-Housing News interviewed Scott Wickman, regional vice president of Western National Property Management, to uncover what a community’s management team can do to make an asset stand out from the rest. The firm oversees operations at nearly 15,000 units across the county, per Yardi Matrix data. Considering the current trends in Orange County’s multifamily sector, how can a property manager make a community stand out? Wickman: Today’s residents are demanding unique amenities, everyday conveniences and quality service. For a community to stand out, they need to offer all three. For example, in addition to resort style pools, they also want dog parks and dog spas, large community areas that blur the indoor/outdoor experience and coffee bars, among others. In terms of convenience, residents are demanding amenities such as dry cleaning pick-up and drop-off, automated lockers for packages, easy access for food delivery and ride sharing apps, Wi-Fi-operated fitness equipment or other tech features that make everyday life more convenient. Beyond amenities, on-site property managers need to be thoroughly trained on providing superior service. In today’s competitive landscape where there is an influx of multifamily communities for residents to choose from and online forums for reviews, property managers need to ensure their team is equipped with the tools to address residents needs and make their community stand out among the competition. 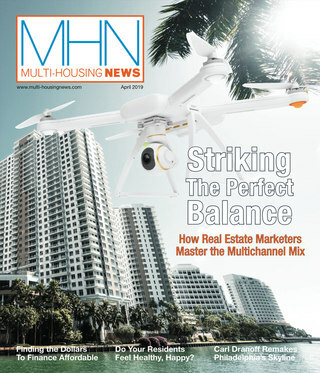 What are the biggest challenges on the horizon for Orange County’s multifamily sector? Wickman: One of the biggest challenges or concerns for many property owners as we get ready to close out the first quarter is whether we will see a softening in rent growth this year. Orange County has historically been a very dynamic market that continues to have exceptionally strong demand. The average rental rates in the region have increased for 33 consecutive quarters. How is the appetite for new investment in California, in light of recent proposals or actions, such as Proposition 10 or the pending legal action against Huntington Beach? Wickman: Rent control and affordability concerns are certainly something that investors are watching closely. However, despite proposed items like Prop 10 and pending action against certain cities, new investment opportunity in California remains attractive to many investors. This is especially true in areas throughout Orange County. Orange County continues to demonstrate quality market fundamentals such as strong population growth, job growth and a high quality of life for residents. The price of homeownership throughout Orange County also continues to remain high, driving more and more (growth) to the rental market. While these are items that investors will ensure they monitor closely, it has not slowed down investment activity in Orange County or other areas across California. What can a property manager do to boost tenant retention rates? Wickman: Increasing touchpoints with residents on a regular basis is one way to boost retention rates. Property managers can do this by engaging with residents through social media. At Western National Property Management, our community managers share updates, information, contests or details regarding community events among other items residents might view as useful. This activity on social media can build personal connections among residents and management, which ultimately results in stronger brand loyalty and retention. In addition to regular communication with residents, managers will want to aid in creating environments that build a sense of community. Residents who know their neighbors and build lasting connections are more likely to stay at a community. Managers can do this by organizing events that encourage residents to interact with others in the community such as movie nights, social hours and more. What is the most important factor when marketing a community to prospective renters? Wickman: Social platforms are powerful recruitment tools when it comes to attracting new residents. Property management companies should identify which target audience they are trying to reach, as this will affect which social platform they may want to use. Younger renters are very active on Instagram, Snapchat and Twitter, while Baby Boomers and Gen X residents are much more active on Facebook. By focusing on the platform that is most relevant to the apartment community’s target demographic, property managers can cultivate an online presence that attracts new residents. Providing relevant content for residents will make them feel connected to the apartment community. Examples of social media content that we’ve seen work include regular blogs, Instagram contests, apartment decorating ideas and important updates happening at the community. A second important stand-out factor is online reviews. Many intrigued renters tend to perceive the quality of a community based on online reviews and photos. While owners can’t necessarily ensure all reviews are positive, they can remain proactive by responding to anything negative in a timely manner and by ensuring that property photos are up to date. Tell us how renter expectations have shifted in recent years. How can an effective property manager stay ahead of these changes? Wickman: Amenities that in the past used to be considered luxury have now become the norm for today’s renters. They are demanding apartment communities with resort-style pools with cabanas and expansive community spaces rather than a traditional pool and clubhouse. In today’s digital age, renters are also expecting communities to incorporate the latest in tech advancements such as Nest thermostats, keyless entry and to be able to address concerns quickly and easily online. To stay ahead of these changes, property managers always need to be evaluating where the market is going and not where it is: What changes can they make today that will be in demand tomorrow? For example, numerous properties have taken into account food delivery apps such as Grubhub or DoorDash and incorporated features into their communities to make delivery of these apps more convenient. We’ve also seen this with ride-sharing apps such as Uber. As more items such as convenience-oriented apps emerge, property managers will need to anticipate what will cross over into what residents expect at their apartment communities. Aside from tech amenities, what role can technology play in an effective management strategy? Wickman: Tech advancements that offer residents convenience and a new standard of living will provide the most value to property owners. For example, at Western National Property Management, we’ve integrated software systems that allow residents to pay rent, submit maintenance requests and contact their managers all through an online portal. This provides residents with the convenience of addressing concerns from anywhere and provides a simpler process for property managers to address items more quickly.